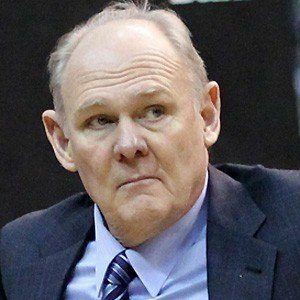 Former NBA guard who became a very successful NBA head coach. He was named NBA Coach of the Year with the Denver Nuggets in 2013 after leading the team to 57 wins. In 2015, he became head coach of the Sacramento Kings. He was a standout college basketball player at UNC. On December 10, 2010, he became the seventh coach in NBA history to win 1,000 games. His son Coby Karl briefly played for the Los Angeles Lakers. He coached Carmelo Anthony on the Denver Nuggets.